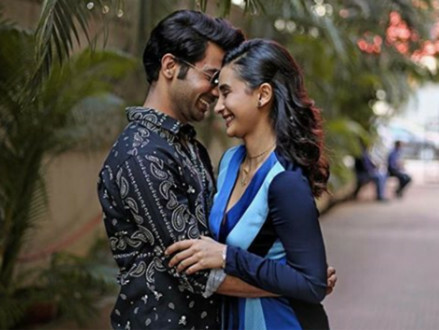 ‘CityLights’ actress Patralekhaa says her first impression of future boyfriend, actor Rajkummar Rao, wasn’t a great one. “And once we started working together, it was magic. The kind of passion he had was powerful. He would bring everyone along with him like a tornado. He made sure that not only him, but everyone did their best, and I couldn’t respect him any more than I did then,” she added. Patralekhaa opened up about her love story through a post on Facebook page Humans of Bombay, as part of the account’s alliance with the makers of upcoming romantic film ‘Ek Ladki Ko Dekha Toh Aisa Laga’. The Fox Star Hindi project stars Sonam K Ahuja as a woman dealing with being gay in India. It also features Ahuja’s father Anil Kapoor, Rao, Juhi Chawla, Abhishek Duhan, Seema Pahwa and Brijendra Kala. Directed by Shelly Chopra Dhar, it is co-produced by Vidhu Vinod Chopra and Fox Star Studios. It will release on February 1 in India. Patralekhaa says Rao and her connected when they started talking about “work, our love for cinema, our passion”. “I saw him through his struggles, never giving up. How could we not fall for each other? We wouldn’t officially go on dates, but we would go for long drives, movies, or even sit at home and eat our hearts out. We would even accompany each other for auditions — silently seeping in support. It’s all we needed — that understanding,” said the actress. She continued: “He would often go out of his way for me. Once, he was running late to see me, so he stopped the cab near the airport and ran all the way to Juhu! Not only that, but when we were earning very little, he surprised me with my favourite bag, which was ridiculously expensive. The best part, Patralekhaa says, is that Rao makes her feel special. She says they are “equal”.